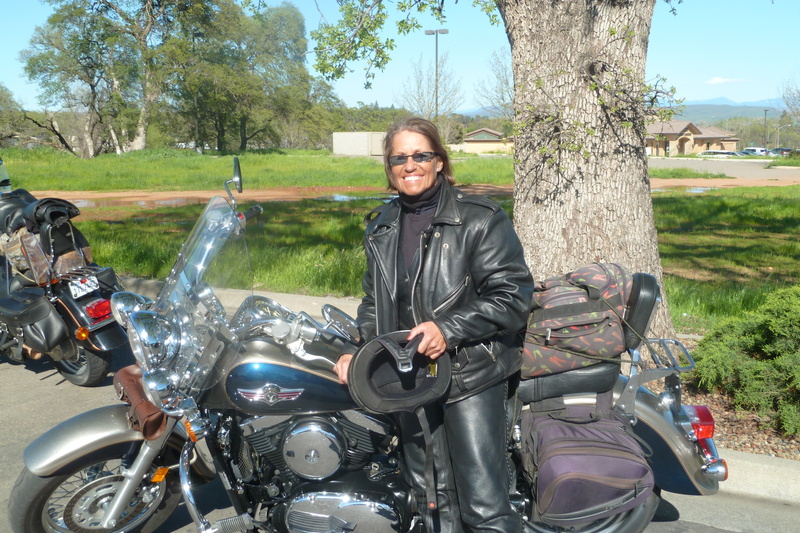 Sue Garcia is an avid motorcycle rider and works here at C. Crane. She and her husband ride as often as possible. Sue has lived in Humboldt County all of her life. 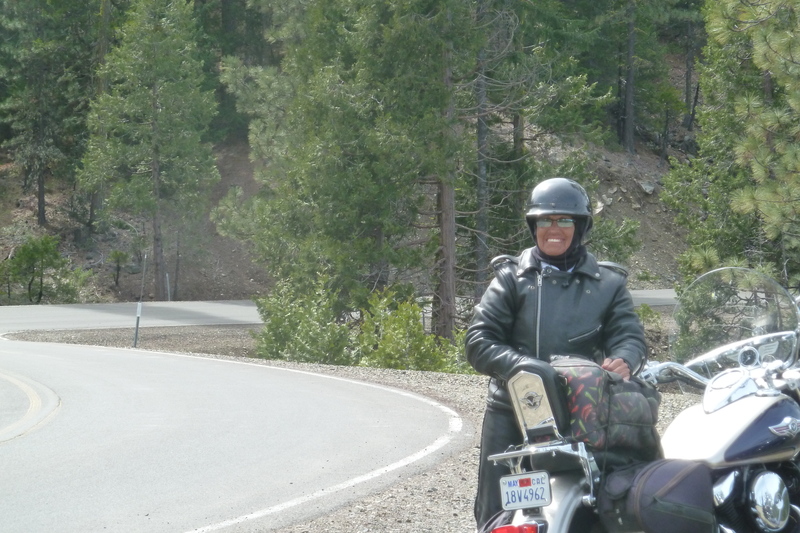 She’s ridden in over 22 states. 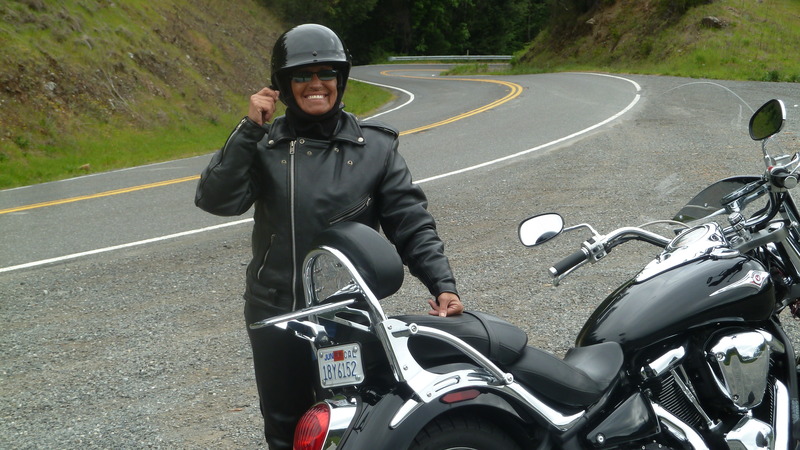 With thousands of hours of riding under her belt, she can’t wait to explore more roads. For those of you that ride and like to cruise the roads on motorcycles, this is for you. I’m assuming if you clicked on “Do You Ride?” you probably ride too or maybe you’re considering it. I don’t know how old you are, but I feel the need to tell you we are both 60ish and our mantra is this: “We are going to ride as much as we can, for as long as we can.” The reason I told you how old we are is that in our travels, we meet more bikers in our generation than any other age group and I feel a special kinship with these “seasoned” riders” that still get on and ride. Our passion is curvy roads with corners. Lots and lots of corners! The more corners the better! There are so many roads and so little time. 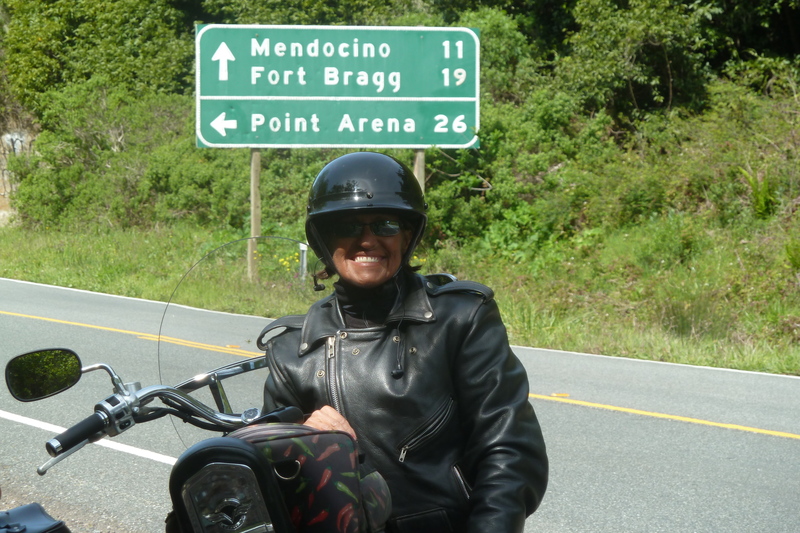 A couple of weeks ago (the latter part of July) I rode the California Hwy 101/Hwy 20/Hwy 36 loop (11 hours and 466 miles). My husband Scott and I ride big cruisers and we ride every single weekend we can. We’ve only missed 2 weekends in the last year. Even with 50 lbs. of leather on, we ride. Christmas, Thanksgiving, Valentine’s Day, our Anniversary are no exceptions. The only thing that makes riding better f or me is my rock n’ roll music. I take my CC Witness Plus with me always: Bike – check, me – check, CC Witness Plus – check and so on (and in that order). I hear stereos blasting from other bikes when we pass them on the freeway or in town and although I’ve had a stereo on a bike myself, it doesn’t compare to how great my music sounds with my CC Witness Plus! I’ve tried all kinds of earbuds over the years and the CC Buds are my favorites for comfort, price and sound. Last summer we hit 15 states in 12 days (CA, NV, WY, UT, NE, KS, TX, OK, LA, MI, AR, MO, IL NM and AZ). (I counted CA, even though we live here, be cause we rode the entire length of the state on that trip). We averaged about 650 miles a day. Late this summer (August to September), we’re going to take a month off and hit all 48 states in one trip. Even though my CC Witness Plus has 2GB of memory built into it already, I add my recorded 4GB memory card to the SD card slot on the side of the unit (for a tremendous amount of music) and in preparation for the upcoming trip I’ve got 5 memory cards full of rock n’ roll! I’ve been recording from my CC WiFi Internet Radio for months now and believe me, I won’t get tired of the music I’m taking on the road with me. I want to ride the Tail of the Dragon starting in Deals Gap, NC (318 curves in 11 miles)! And I can’t wait to let you know what I think of the Dragon and the other twisty roads around Deals Gap. I’m sure we’ll need to spend 3 or 4 days in this area, because we just can’t miss rides with names like Devil’s Triangle (TN), Blood Mountain Run (GA), the Moonshiner (NC/GA/SC) and my personal favorite, the Warwoman (GA)! This coming road trip we’ve allowed enough time to actually get off the bikes and check out some neat stuff along the way. On our road trip last summer I was honking my horn and pointing as we passed things we could see from the freeway. 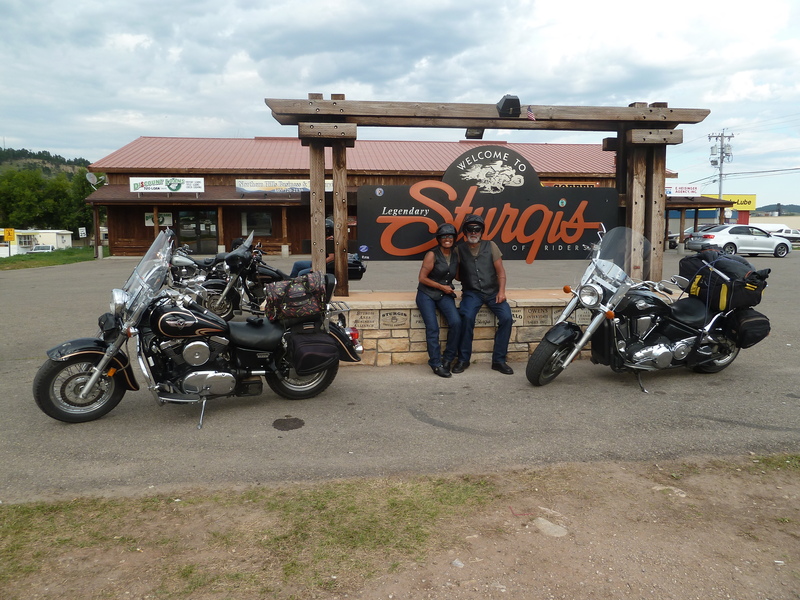 We had a blast when we rode Route 66 in 2014, so we rode it again last summer. Williams, AZ is worth a look-see and a good place to stay if you’re going to the Grand Ca nyon. Bourbon St and the French Quarter in New Orleans were awesome too, but mostly it was just a lot of honking and pointing from the freeway. It’s a little scary riding through tornado country, we just have earthquakes where we live, so I’m keeping my CC Skywave in my saddlebag with it tuned to WX Alert and I’ll check it when we stop for breaks or see those dark, funny looking clouds in the sky. 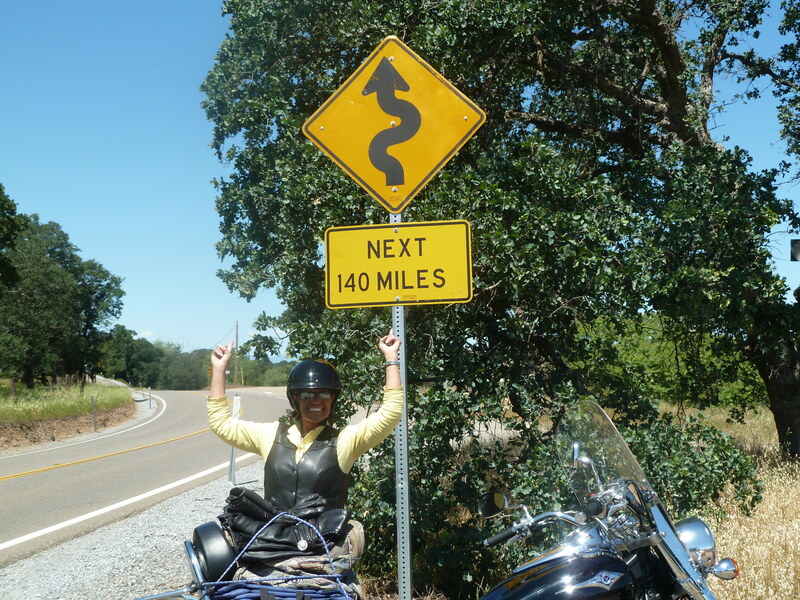 Seriously, last year we rode at a 45 degree angle for miles and miles in Kansas. When we finally checked into a motel and turned on the TV there was a big red warning on the screen and they were telling everyone to get on the bottom floor away from windows. You bet I’m taking my CC Skwyave! C. Crane is right off California Highway 101. In fact you can see it off the overpass that’s right out the front showroom doors. I invite all of you to stop by and have a cup of coffee and a cookie (heck, they’ll give you as many cookies as you like). 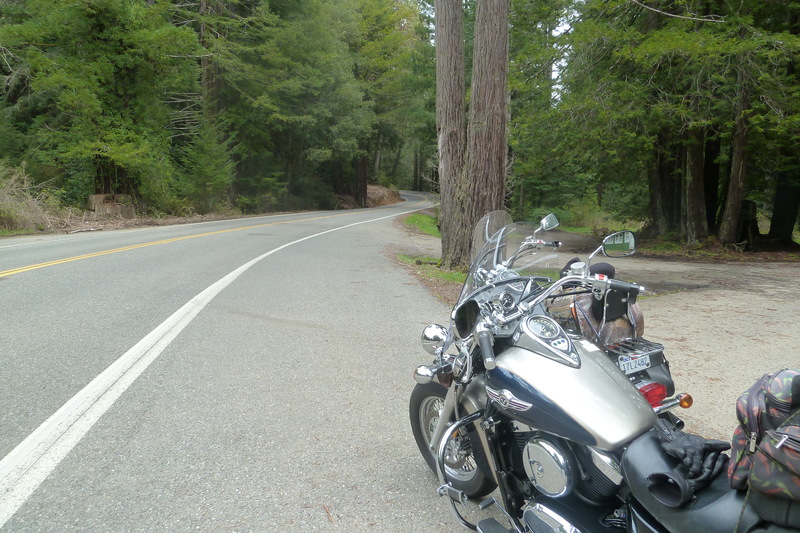 Come and enjoy our weather and by all means, take a ride through the Redwoods and a long the coast. But, if you like a challenging ride: a ride with corners, curves, twisties and switchbacks, stop by and if I’m in the office, I’ll share some of the secrets of our roads with you. If enough riders respond, I may be able to keep writing about what I love to do most and I’ll share our road trips and tips with you. 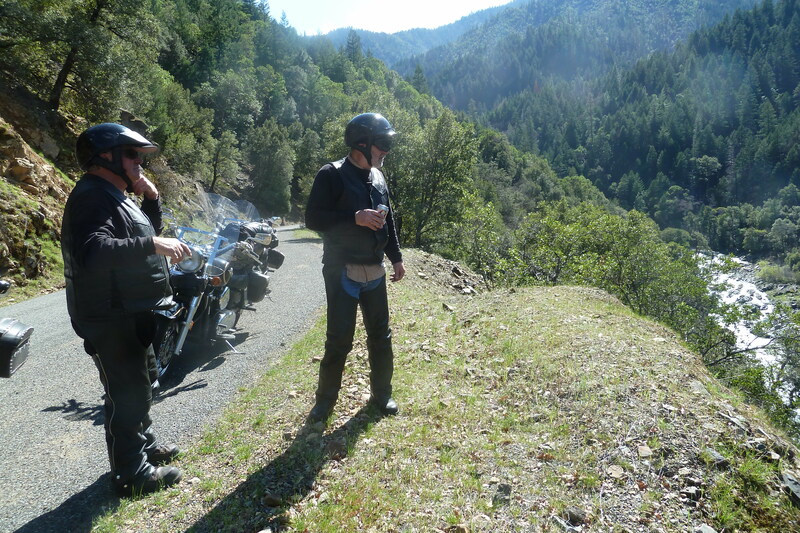 For the many, many riders that come into Humboldt County and for those that like to ride the kinds of roads Scott and I do, there are some rides you don’t know about yet and will love. Maybe, after y ou ride Hwy 36, you’ll even want to start your own Best Rides list. 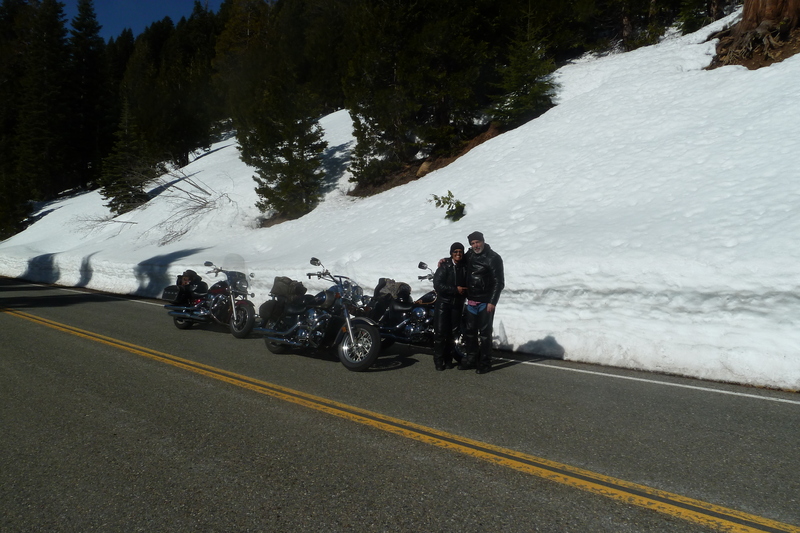 If you are intrigued about riding Highway 36, stop by before your ride and I will give you an idea of what to expect. You might even want to take a picnic lunch with you. If you start the ride from the east side and you get to C. Crane before 5:00 on a weekday, I’d love for you to come by and tell me your Hwy 36 thrills and chills stories!! Take a photo of your bike along 36 and we will post it on our Facebook page and in a future blog post. Until then, Journey On Biker Buddies! Where do your travels take you this summer? Enter to win in the comments on this blog and win the CC Witness Plus. Drawing will be held August 17th. Only one entry per person. Congratulations Terrance, the winner of the CC Witness Plus! Thanks to all who participated. You make me want to take up riding. I suspect I’m a similar age. Very well written blog! I’m expecting trips to Tennessee and possibly the Florida gulf coast this summer (Tampa Bay area). Would love to have a CCWitness to bring my talk radio along (and possibly some encoded audiobooks). Our travels this summer led us to Ruth Lake, the southern end of the Headwaters Forest, Mattole Valley, and Redding. My husband and I both work so we try to take as many mini trips as possible. We are very fortunate to live in Humboldt and have easy access to a variety of cool locations! You wouldn’t like Alberta roads. They’re straight as a laser beam. As for me, I’m legally blind so I have to rely on others. But I do travel the world with my Skywave radio. Radio New Zealand International has been booming in here, propagation not withstanding, for the past three months. I listen to the first half hour of Checkpoint at 06:00 UT and it’s taught me much about that nation and its problems. I haven’t rode enough this year but loved those pics. Work has got in my way this year. But I still hit the road when time let’s me. Helps me to relax. Thanks, and I always use earbuds so I don’t annoy others. I’m not trying to be a killjoy. I’ve had my motorcycle license for over 34-years and I currently own a 2016 H-D. However, I think something very important was skipped in this blog: there are many states that prohibit earbuds & headsets or have specific stipulations for motorcycles. Some states only allow earbuds or speakers specifically built into a motorcycle helmet. Some states prohibit the wearing of earbuds/headphones completely. While in some other states, it’s only legal to wear one earbud so the driver/rider can hear ambient sounds around them. Google it. The American Automobile Association – AAA – Digest of Motor Laws and many other web sites including motorcycle specific web sites list each state and what’s legal/illegal. Oh, and you’ll love the Tail of the Dragon. Unfortunately the over/under for an ambulance to be called to that stretch of highway is one per day. And complicating matters, it’s a badge of honor for tractor trailer drivers as well. It’s a dangerous piece of U.S. Highway. Thank you for responding to the Do You Ride? blog. You’re not being a killjoy, you are absolutely correct. Yes ,having anything in your ears is prohibited is some states. The blog I wrote was simply talking about what works best for me. I wear a ½ helmet and I put one earbud in my ear, that’s one of the reasons I like the CC Buds so much, I can flick the earbud out of my ear in a split second if I need to. Thanks for the heads up for the Dragon, I’ll keep it in mind. We completed our 108th trip on Hwy 36 this weekend. Man, I just can’t get enough. My summertime ambition is to drive the entire length of the old Route 66, starting in from Chicago. Although Route 66 is no longer an official U S highway, much of the original road surface is still extant but marked for different state and/or local roadways. There are tourist guidelines that identify which parts of the old route are accessible. I live in Arizona and travel around locally a lot usually exploring all sorts of remote mountainous areas hiking on foot and old abandoned mining spots.